The story of Welfare Group is one of challenges, pioneering, and trust. We have a solid history in the gold loan field which can be traced back to 1937, the year in which our founder Mr. P.K. Antony took over the charge of Cherupushpam Bank in Kattoor. Late Mr. Alapatt Palathingal Kunju Varredh who was the managing partner of Cherupushpam Bank in Kattoor died in 1937 and according to the partnership deed, his eldest son Mr. P.K. Antony was to take over the charge of the bank. Mr. P.K. Antony, our founder, was doing his 3rd year in ‘Visha Vaidyam’ at Thevara during that time. He stopped his studies and took charge of the Cherupushpam Bank at the age of 21 yrs in 1937. Cherupushpam Bank was then liquidated in 1941 and our founder Mr.P.K. Antony started a bank by himself and thus ‘Welfare Group’ was born on December 20th 1941 with Kattoor as our first office named Welfare Bank. Later the Welfare Group developed and expanded into almost all parts of Thrissur district with Kattoor as our Head Office. Mr. P.K Antony was born in the year 1916 as the eldest son of Mr. Alapatt Palathingal Anthappan Kunju Vareed. After the death of his father, he took charge of the family business at a very young age of just 21 yrs. Those who knew him would certainly remember the passion and assertiveness he had towards his business ventures. He always be lived in the power of private enterprise to transform lives, and the value of providing a helping hand for the people during their financial needs. He was the backbone and the architecture of the entire Welfare Group. The code of ethics that Mr. P.K Antony instilled in his business life, as well as personal life, still drives our business decisions and guide all our activities. He passed away in the year 1991, but his legacy lives on each day through our work. Mr. Davis A Palathingal is the fourth eldest son of Mr. P.K Antony. After completing his studies from Christ College Irinjalakuda, he stepped in to the family business. With his hard work and dedication, he has made sure that he carries his father’s legacy forward. He has been leading the Welfare Davis group, with the same intensity and the code of ethics that he learned from his father. He is now serving as the State President of the Nidhi Companies Association (NCA) in Kerala. He is an active member and the former state President of the Kerala Gold & Silver Dealers Association (KGSDA), a member of the All Kerala Private Bankers Association (AKPBA), a member of the Triprayar Sports & Games Association (TSGA), a former Secretary of Lions Club of Kattoor and also a former Treasurer of the Alapatt Palathingal Tharavattu Yogam Charitable Society. 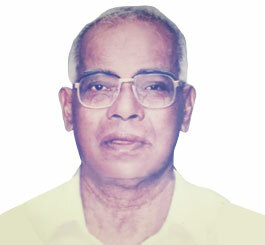 Mr. John Davis Palathingal is the eldest son of our group Chairman, Mr. Davis A Palathingal. He did his schooling in Don Bosco HSS, Irinjalakuda and his plus two in St. Thomas College HSS, Thrissur. He completed his B.Tech studies from Sahrdaya College of Engineering & Technology, Kodakara in the field of Electronics & Communication in the year 2010. After his college studies he joined an American based E-commerce start up company named Power-lite Software Solutions (ICAPSI CORP.) based in Irving, Texas and worked there for almost 2 years. Coming from a business family, his entrepreneurship ideas took over and the result came in as Welfare Infotech. John is an active member and the past President of the Leo Club of Kattoor (a Lions Club initiative). Following the footsteps of his great grandfather, his grandfather and his father, John has been successful in managing business and taking forward his family tradition in to greater heights. Jose Davis Palathingal is the youngest son of our Managing Director, Mr. Davis A Palathingal. He completed his graduation in B.Com (Finance) from Christ College, Irinjalakuda in the year 2013. He attained his Post Graduation in Master in Business Administration (M.B.A) from Jansons School of Business, Coimbatore in the year 2015. By thinking ahead and planning big, his thoughts took over him to join the family business and so after his studies he took charge of the incorporation and the daily running of our registered office at Mannuthy. In 1999 Antony son’s Welfare Group was divided in to five groups headed by P.K. Antony’s five sons. Mr. Davis A. Palathingal, fourth eldest son of Mr. P.K Antony took over as the Chairman of the Welfare Group with Triprayar as our head office. In 2003 all our offices were computerized for speed and accuracy. Welfare Group also stepped in to International Money transfer services in 2005. Currently we are authorized agents for Western Union, Money Gram, Xpress Money, Trans-Fast and Riya Money International money transfer services. In 2012 we stepped in to the IT field under the leadership of Mr. John Davis Palathingal, eldest son of our Chairman, Mr. Davis A Palathingal. Welfare Infotech is an IT firm based in Kerala (India) rendering IT services to e-commerce companies in U.S.A. In 2015, by becoming the approved agent for X-Pay, we expanded our money transfer services for domestic fund transfer as well. As Welfare Group stepped in to the 75th year of service on 21st Dec 2015 and we decided to carry our business to corporate level by the incorporation of Welfare Nidhi Limited, a public limited company with registered office at Mannuthy, Thrissur. Welfare Nidhi Limited is a ‘NIDHI’ company declared by the Central Government of India under the section 620A of the Companies Act of 1956. Regulated by the Ministry of Corporate Affairs, Welfare Nidhi Limited belongs to the non-banking Indian Finance sector. With the help and support of all our valued customers, staffs, well-wishers and the entire management team, we intent to develop our presence and services in the years to come.